The “March for Our Lives” protests in Washington, D.C. – and in more than 800 other cities in the U.S. and around the world – dominated the news this past weekend. What wasn’t mentioned in the mainstream media coverage is how anti-gun activists have hijacked the Parkland school massacre and the student survivors to promote their agenda … and shut down any debate regarding common sense actions designed to prevent future mass shootings in schools. What was advertised as a demonstration about stopping gun violence ended up being a huge anti-Second Amendment rally … in which the NRA and law-abiding gun owners were vilified for the heinous act of one deranged criminal. The “March for Our Lives” student rallies made history – thanks to the media and progressive activists. An estimated 200,000 students and anti-gun advocates gathered in Washington D.C. … and a total of about 2 million in more than 800 other cities. Bus and plane transportation costs were organized by move-on.org, Barack Obama’s Organizing for Action (OFA), anti-gun organizations … and wealthy progressives such as Oprah Winfrey and George Clooney. Teachers and administrators joined with progressive activists to organize and coordinate messaging and talking points. Progressive politicians and organizations had specific goals in mind for the student marches. One of their selected spokespersons – Parkland shooting survivor Emma Gonzalez – wore an Army fatigue-like shirt at the Washington D.C. rally … containing a communist Cuban flag on the right sleeve rather than an American flag. The shooting survivor spokespersons are ignoring the failure of government to keep them safe by enforcing existing gun laws. They are totally ignoring the failure of government to consistently enforce existing gun laws … which would have prevented the Parkland shooter from purchasing his arsenal of weapons. The “March for Our Lives” movement isn’t allowing anyone to present the argument that guns can protect people from gun violence. The progressives and the media have thrust David Hogg and Emma Gonzalez – two of the Parkland survivors – into the limelight as their preferred spokespersons for the demand to end gun violence. Neither of them seems to be interested in discussing gun violence – or debating gun policy – with those who disagree with them. And there was no mention of the Great Mills High School shooting in Maryland that had occurred 4 days earlier … in which the school resource officer engaged and stopped the shooter. There are, however, Parkland shooting survivors who disagree with the progressive anti-gun, anti-NRA “March for Our Lives” movement. Kyle Kashuv – a junior at Marjorie Stoneman Douglas high school – created a mobile app that encourages students who are struggling with any social behavior issue – including thoughts of harming themselves or others – to reach out to other students for help. His views have been largely ignored by the progressive mainstream media. He believes it’s ironic that some of his fellow students want to put their faith and trust in government to stop mass shootings … when government failures have been responsible for allowing so many of them to happen. Hogg has ignored the offer. There needs to be a common-sense discussion about gun violence. There is probably no other moral issue facing our society that has such universal agreement: the murder of anyone in cold blood is hideously wrong. What’s causing the carnage – and what should be done to stop it – are not easy questions to answer … but both are crucially important. If we try to stop gun violence without having any desire – or making any attempt – to identify, understand and address the causes of the violence … we will accomplish nothing significant or lasting. If we restrict guns without addressing violence, we solve nothing. Violence originates in the human heart. All of these “tools” kill … all of them are being used by killers today. It makes no sense to attempt to ban all weapons that could possibly be used to commit murder. This leads to another principle that can’t be ignored … as controversial and as uncomfortable as it is to talk about. Evil exists … and evil leads to violence against others … which results in murder. School shootings are horrific … but they are merely the tip of the iceberg of violence and murder in America. Between 2001 and 2012, nearly twice as many American women were murdered by current or ex male partners (11,766) as there were U.S. soldiers killed in Afghanistan and Iraq (6,488). In cities all across the nation, gang violence kills innocent children … and adults. Unless the human heart is transformed from within, school violence – as well as all other forms of violence – will continue. New gun laws won’t stop gun violence. What would a law to end mass school shooting even look like? Lawbreakers don’t obey laws – they find ways to circumvent the law. If you make it illegal for 18-year-olds to purchase guns, they’ll steal, buy online from overseas, find someone over 18 to buy guns for them … you get the idea. No psychopath … gang member … terrorist … thief … domestic violence perpetrator … will allow a gun law to prevent them from committing the violence they are determined to commit. — had the Air Force enforced current gun laws, Devin Kelley wouldn’t have been able to purchase the firearm he used to slaughter 26 worshippers at a Texas church. — had the FBI enforced current gun laws, Nikolas Cruz wouldn’t have been able to purchase his arsenal of weapons. — 30,000 military veterans with felony convictions are not in the National Crime Information Center (NCIC) database. — Dylan Roof, the South Carolina church shooter on June 7, 2015 was never entered into the NCIC database – which would have prevented him from buying a gun. — If the government isn’t enforcing current gun laws, why does anyone think they’ll do an effective job of enforcing a new law? No matter what new law(s) may be created, those who want guns to be banned completely will complain that the laws don’t go far enough – that more needs to be done. Prohibiting gun purchases until the age of 21 makes no sense. The anti-gun survivors of the Marjory Stoneman Douglas High School shooting have complained in media interviews that an 18-year-old was able to walk into a gun store and purchase a gun – as if that should be illegal. Therefore, it makes no logical sense that an 18-year-old shouldn’t be permitted to purchase a firearm … unless they are also prohibited from voting … and from the other adult activities listed. Our culture encourages gun violence. We inadvertently and unconsciously encourage gun violence by failing to properly assign responsibility and administer consequences. But when gun violence occurs, we blame everyone and everything except the shooter. No one seems to want to hold Nikolas Cruz responsible for the deaths of 17 high school students. He should be convicted, sentenced to death, and justice should be administered swiftly. This would be the most effective deterrent against this type of crime being repeated by someone else. Gun violence is a moral issue that requires a moral response. We live in a morally relativistic society – a major problem for dealing with a moral issue. No one seems to see the irony in the belief by the majority of Americans that all morals are relative except gun violence. Every moral issue is also a legal issue. Laws may not oppress or discriminate against one group of people to fulfill the wishes or provide desired benefits for another group. The legal answer to deterring gun violence is No Gun-Free Zones. In today’s violent society, citizens cannot trust police or government agencies for protection. A gun-free zone is an open invitation to a criminal to commit violence – uninterrupted and unimpeded. With schools currently being gun-free zones by law … if a parent with a legal permit to carry a firearm were to go on a high school campus and stop a deranged killer by shooting him … he could be sentenced to federal prison for discharging his weapon in a gun-free zone. Every moral issue is also a spiritual issue. 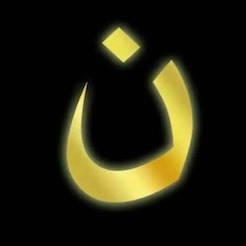 This attitude is part of the problem – a lack of acknowledgment that there is a God and that He is at the center of the problem of human violence. Watch Tucker Carlson’s take on the solution to gun violence promoted by the Washington, D.C. march – and his discussion with Erica Thomas – a Georgia state representative and advocate of gun control (10 minutes). 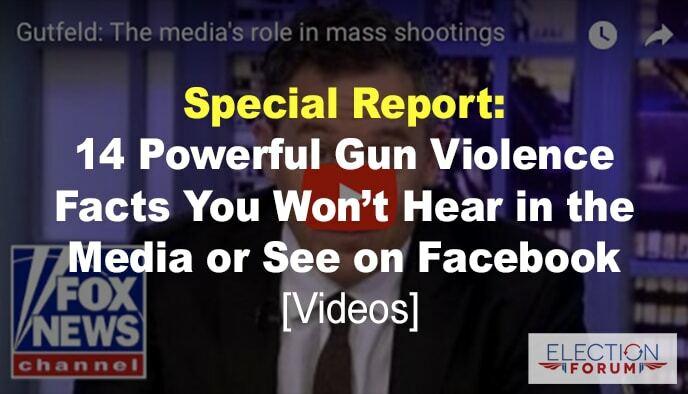 Finally, watch Greg Gutfield’s 4 points on how to stop mass shootings – and the media’s role in promoting these atrocities (10 ½ minutes). First, the ignoring to discuss and ignore all together any attempts from 2nd amendment supporters is negating the 1st Amendment. Second, the 2nd Amendment was created to protect us from an overbearing “Out Of Control” government that “SUPPRESSES” individuals freedom of expression in any way shape and form!!!!!! These ignorant bastards think they can destroy our country from within by standing by and allowing innocent people kids to be slaughtered just for their PLOY! Join Gun Owners of America, Jews for the Preservation of Firearms, and the 2nd Ammendment Foundation, in addition to the NRA.